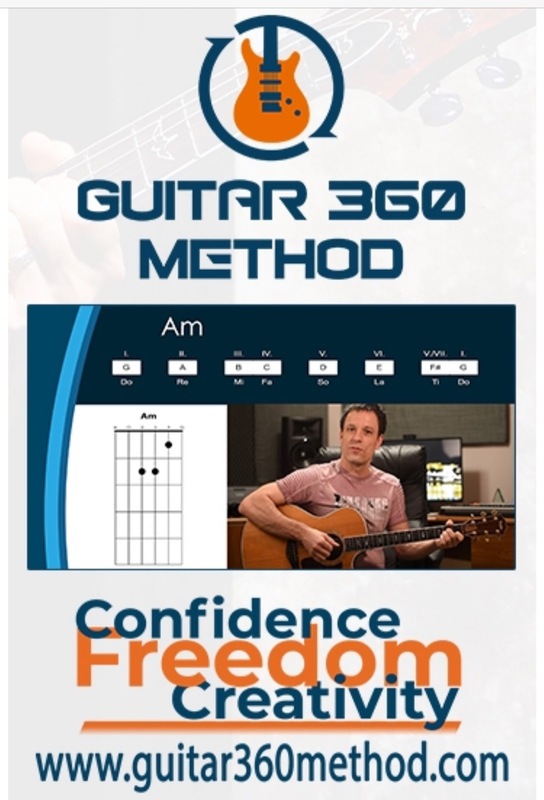 The following is a review of lessons from Guitar 360 Method (affiliate link) with the TOS Homeschool Review Crew. Krisz Simonfalvi is the experienced teacher and owner of Guitar 360 Method. He has been teaching my son Joseph guitar in a new way through online video lessons accessed by streaming. It has worked well for Joseph as he can work at his own pace even pausing and rewinding lessons to focus on specific steps. It’s enjoyable to watch him enjoy learning. We received access to the Semester One Bundle which includes the Absolute Beginner Course and two bonus songs as well as the Semester One Course. Our entire family can watch these guitar lessons. We pulled up the lessons on the iPhone while my son watched and played along at home. I love listening to him play, and it was great to see him trying new things each time he worked on these lessons. I can’t wait to hear him play the song he’s been practicing to share at church. We are a musicial family. I can not play an instrument, but all of our children do. Lessons can be expensive, but our investment in our children’s musical talents has absolutely been worth it. We have tried music school, lessons with musicians, so many different ways through the years; both of our daughters have even taught violin and piano students of their own in our house. I have researched the correlation between playing an instrument and focusing on school lessons. I’m a firm believer that music lessons are worth it. Joseph took a few screenshots for me during one of his recent online guitar lessons. He explained the setup to me. 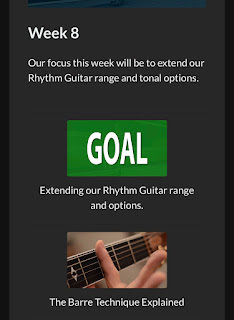 Each lesson includes a goal, demonstration, practice, and sometimes even quizzes. The plan is clear and understandable. His sister Emily is currently pursuing a music education degree. On our commute to college and our homeschool group one morning I listened to them discuss Solfege which is addressed in the Guitar 360 Semester I lessons. The Semester One course was the perfect starting point for Joseph who has played a little through the years but has never had formal lessons. It covers basic chord shapes in the first lesson. He was able to sit with his guitar and follow along following recommendations as he watched the video lessons. They are marked complete progressively, but students can go back and review new techniques or view any lesson. The Absolute Beginner course is just what you would expect from the name. Brand new guitar students (guitar for Christmas?) can start at the very beginning. 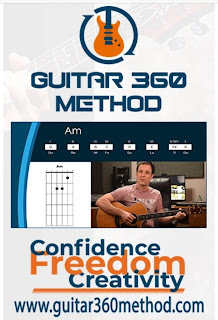 Guitar 360 is offering a 20% off coupon to all of my readers! 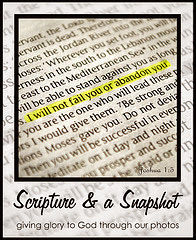 You will receive the discount at checkout when you enter the HOMESCHOOL20 coupon code. The regular price is $149. With the coupon code, these lessons are $119.20. 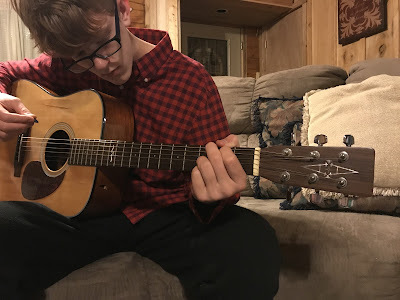 If you enjoy giving experiences as gifts, a gift of guitar lessons from Guitar 360 method just might bless you, too when the student plays a song for you. Visit Guitar 360 Method on Facebook, Twitter, and Instagram, and be sure to tell them hi from Jennifer at A Glimpse of Our Life.